Hijacking of the 14th amendment? Its been the law for a very long time. Lots of countries practice Jus Soli. America being one of them. They are American citizens whether you like it or not. No matter how poor they are. 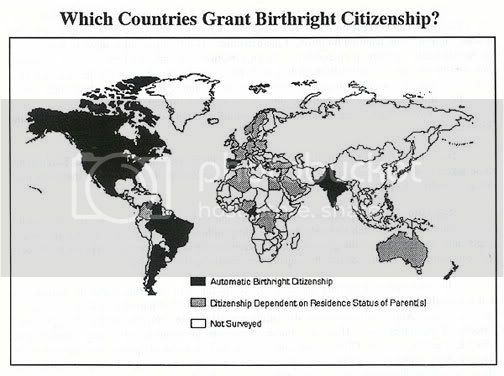 The majority of First World countries do not allow birthright citizenship. Most of the countries that do allow it are not in danger of being inundated with illegal aliens who come there solely for the purpose of giving birth to a 'citizen'. Cameroon may have birthright citizenship, but it is unlikely that will result it swarms of women entering Cameroon illegally to have an anchor baby. The law applies to an individual, not the family. 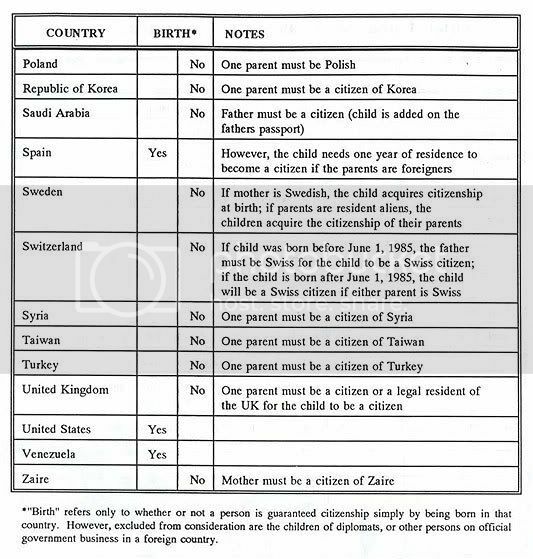 The family isnt granted citizenship, just the individual who was born on a country's soil. Thats how Jus Soli works. For example, Mexico's Chinese population. Theres a lot of Chinese-Mexicans. A lot of them have come to Mexico illegally. But when they are born in Mexico, they are automatically granted citizenship. 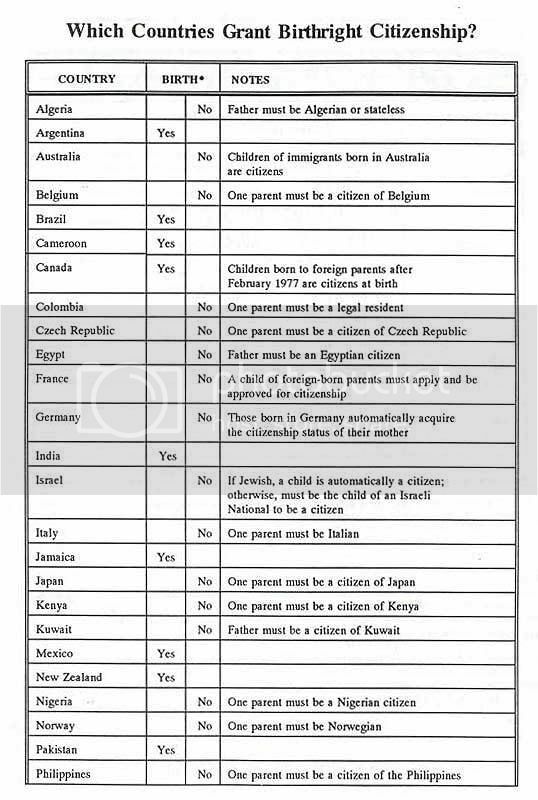 Actually I was looking for some legitimate information, not your standard "Well, in Mexico..."
The USA, New Zealand, Canada and Spain are the only First World nations that grant birthright citizenship. And the latter two places evidently have some stipulations according to GuyP's charts.